The Disciple Choir is made up of several members and friends of the congregation who enjoy singing and praising God through music. 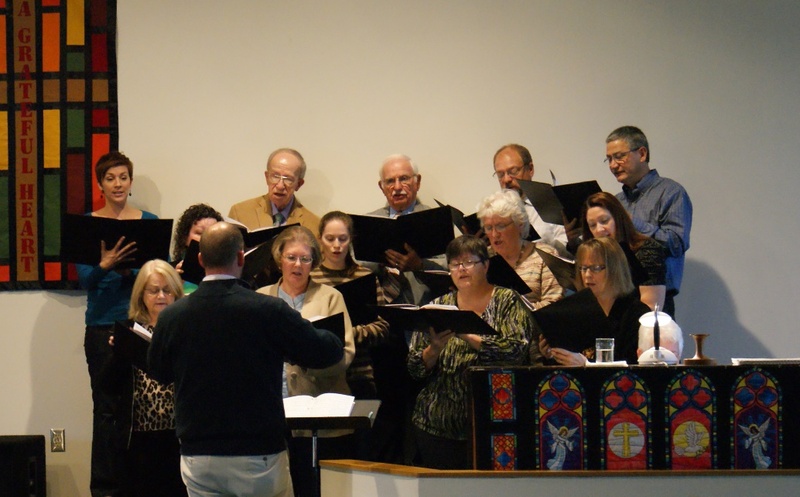 In the fall, winter, and spring, the choir meets weekly on Sunday evenings at 7:00 pm for rehearsal and prayer to prepare music for each Sunday morning worship service. In addition, they perform choral cantatas and sacred music programs for special seasons of the year, such as Christmas and Easter. The music selection is primarily sacred, ranging in style from classical to contemporary praise, and everyone is welcome—trained voices are welcome but not required! In the summer, we invite individuals and small groups to perform special music during worship. We also offer an instrumental ensemble of hand chimes, performing worshipful and spiritual music for some of our services. For more information about AHCC music programs, contact the music director, Brian Lee.